You can find a detailed presentation here. We consider ourselves Passionate about Exploring Measurements, Modeling & Microelectronics, and we believe our results reflect our passion. RF is one of our passions, though: we had/have other passions that influence our way of thinking. Let´s try to describe ourselves in terms of our passions (for a more formal – and boring – description of ourselves, send us an e-mail…). Antonio Augusto Lisboa de Souza – I was born in the beautyful city of João Pessoa – Brazil. Born and raised in front of the sea, I rapidly became addicted to surfing, and won my first “real” surfboard at the age of 8. I used to surf around 6 hours/day during vacation, 12 hours/day during championships! Then sometime aroung the age of 12, I also became passionate to fish breeding (mainly betta splendens and oranda goldfish). I have even built a breeding tank greater than our swimming pool! Then another passion took over: Electronics! 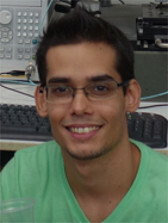 Soon after receiving a BSc degree in Electronics from the Federal University of Paraiba – Campus II (currently Federal University of Campina Grande), I was so “crazy” about doing projects in Electronics that I travelled more that 3.000 km to live in Manaus and work at Sharp do Brasil, developing TV sets. At that time (around 1999), I got interested on Microelectronics and started working towards a Master degree in the field. 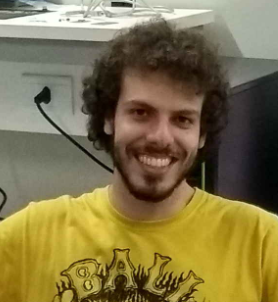 I then travelled more than 3.000 km again and started working at Motorola Semiconductor Technology Center (now NXP), in Campinas – São Paulo. After working 4 years as a funcional verification engineer in the digital domain, I decided to travel a lit bit more (almost 7.000 km) to pursue a PhD degree in Electronics at the XLIM Labortory, living in the very calm and pleasant village of Brive-la-Gaillarde. I then returned to Brazil and joined the Federal University of Paraiba, in João Pessoa, where I continue to surf and breed fish! Emmanuel Benoit Jean-Baptiste Dupouy – I was born in Dax (France) in 1982 and raised in the peacefully village of Saint-Aubin. I am feeling good when I am in the nature, where I like so much hiking, climbing, surfing, kitesurfing, skiing. But, soon, I knew that I could not live from that. As I always have been interested in sciences and new technologies, I decided to study electronics. So, I reached the other side of France to integrate an engeneering school, Polytech Nice Sophia, where I passed 5 years close to Mediterean Sea and Alps. Difficult to think in studying in such a place but I graduated. Despite these studies, I kept my taste for sciences and my curiosity. So, I decided to pursue a PhD in XLIM (Brive-la-Gaillarde), where my taste for electronics grew and where I met Brazil through Antonio. 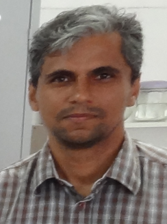 Curious to know more, I left France to occupy a pos-doc position in Campina Grande (Brazil), and finally joined Federal Institute of Paraíba as an assistant professor. Joabe de Moraes Brasil é Tecnólogo em Telecomunicações pelo Instituto Federal de Educação, Ciência e Tecnologia da Paraíba– IFPB (2006). 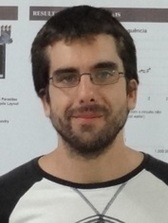 É Técnico em Eletrônica (1999) e Técnico em Eletrotécnica (1996), ambos também pelo IFPB. De 1997 a 1998, estagiou como Eletrotécnico na Santista Alimentos S/A– Cabedelo. Estagiou como Técnico em Eletrônica, de 2000 a 2001, no Tribunal Regional Eleitoral da Paraíba. Em 2002 trabalhou como Técnico em Eletrônica na InfoNews Informática Assistência Técnica Autorizada. 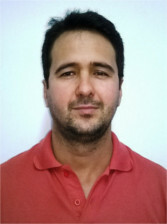 Atualmente atua como Técnico Administrativo da Universidade Federal da Paraíba – UFPB, na função de Técnico do Laboratório de Pesquisa de Sistemas Eletrônicos.